Maine Real Estate Management is a full service property management company leasing and maintaining residential and commercial properties in the greater Bangor area. Premium properties, experienced management team, & business guidance. Maine Real Estate Management has over 25 years’ experience in the successful management of both residential and commercial properties. MREM have also recently broadened their service portfolio to include the management of Homeowner and Condominium Associations. Their vast knowledge and experience are required in this dynamic, fast paced field ensuring a low risk, high success solution to your every need. 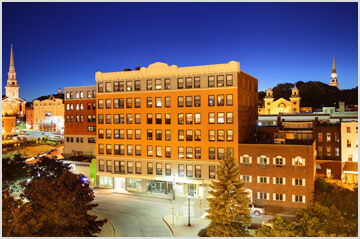 Located in the heart of downtown Bangor, the offices of Maine Real Estate Management are conducive to not only their residential tenants visiting the Queen City, but also the majority of commercial tenants whose offices are primarily within walking distance. At Maine Real Estate Management, the clock never stops. Owners and tenants can sleep easy knowing the knowledgeable staff of MREM is always just a phone call away, regardless of the time or day. 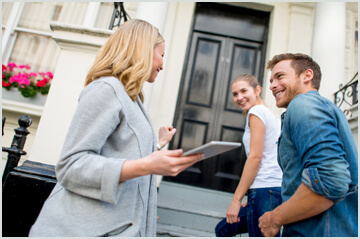 A rare service in today’s property management field, clients won’t have to deal with an answering service after hours but are able to reach an employee of MREM to quickly resolve their issue. One of the goals at Maine Real Estate Management is to give their tenants and clients full transparency into how their money is being handled. Rent Manager, a property management software allows both their tenants and their clients access to real time information with web portals, an online service that permits them to report service issues, pay rent, see who’s paid and more! Maine Real Estate Management has residential rental listings all over the greater Bangor metro area. We help guide tenants through the process of finding the right place, as well as handling rent collection, etc. Check our site for current listings. Maine Real Estate Management has many commercial and investment properties available. We list a variety of spaces in many locations. Our experienced team can guide clients through the commercial real estate waters. Check our site for current opportunities. Individual offices available. 27 State Street, Downtown Bangor. Professional, quiet and affordable. Flexible leasing terms. $225(All utilities included). Flexible Terms Prime Second & Third Story Office Suites in Downtown Bangor. 2,700Sq Ft of Open Space in Thriving Downtown Area. Endless Opportunity. First Floor in Professional Building. Central A/C. $1,600/month plus Electricity. Put our years of property management experience to work for you. 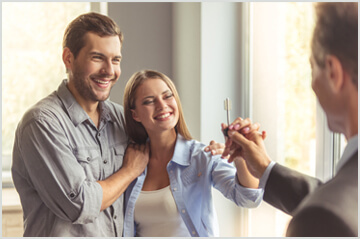 We handle listings, showings, collecting security deposit and rent, maintenance issues, as well as evictions and legal action. Maine Real Estate Management offers superior condo management because of our advanced online software. And our close relationships with condo boards and homeowners associations. We have years of experience keeping condos running smoothly. We help clients find the right investment properties, and help them navigate the real estate market. We have two brokers on staff. Our strength is our experience, and the fact that our owners and managers are all investment property owners themselves. I’ve rented from MREM for two and a half years and I have nothing but good things to say about my experience. My rental agent, Robbie, is the best! He’s responsive and he really listens to his tenants. Any time I’ve had an issue I call or email and it’s fixed within a day or two. I’ll also add, the few times I’ve had to call for after-hours service someone responded right away. I would recommend them to anyone looking to rent! "MREM is great. There is no better choice for property management in Greater Bangor. Prompt professional service, extremely thorough tenant screening, timely, detailed and accurate billing, responsible handling of maintenance requests, and access to an advanced owner web login so I can keep tabs on my property financials 24/7. These guys have owned rental properties themselves for years and truly "get it". I wouldn't trust my investments elsewhere." Robbie has been a huge help. This was my first apartment and I can safely say I'd rent from these guys again. They are very kind and understanding.